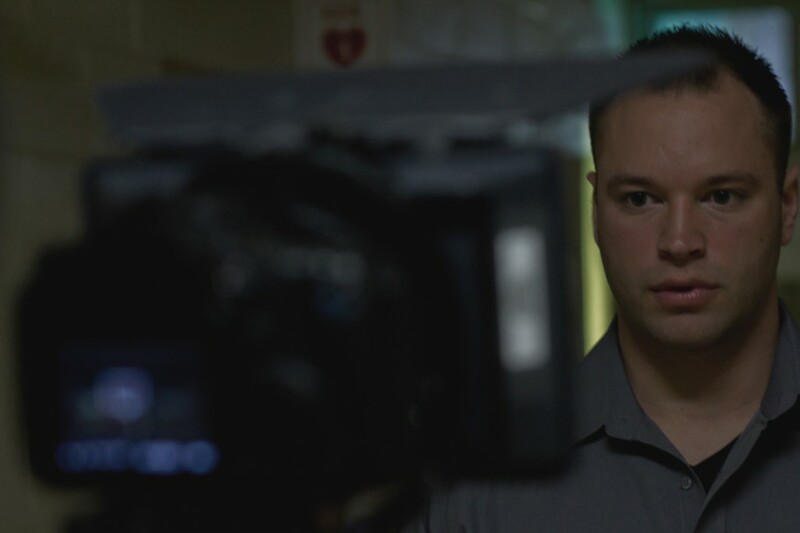 Indie writer/director Terence Krey wants his next film to be a horror movie that is more than a horror movie. Of course, this is the ideal in such matters. As a horror writer myself, I’m always conscious that unless a story is about more than the monster, unless it creates a genuine dialogue between real-life experiences and the fantastical elements contained in the narrative, then you haven’t created anything that will resonate with your audience and have lasting impact. It’s all about resonance. Robert Louis Stevenson’s classic novel The Strange Case of Dr Jekyll and Mr Hyde tells the now-standard tale of a “mad scientist” who unleashes a monster, sure, but it works so well and has lasted so long because its central elements address issues that are basic to humanity, creating via its fantastical tale a powerful metaphor for the dual nature of Man — the perpetual struggle in humanity and in each of us between creation and destruction, good and evil, compassion and cruelty. This is the sort of impact that Krey is hoping for. I want to make a horror movie that also isn’t a horror movie. Not a Monster is a movie that could easily be identified as a monster movie, with gore and bloody kills, but at the same time it can be identified as a drama about a girl having to figure her life out. I think finding a common thread between those two plot-lines is challenging, unique, and, if done properly, will really connect with any audience. My style has always been to use science fiction, fantasy and otherworldly elements to emphasize real-life issues. In this case, a girl who has been through a terrible accident and no longer feels like a person, now has to deal with something that isn’t a person. They are both searching for their identities, all the while dealing with the feeling that they are less than human. Not A Monster was inspired, Krey says, by the story of Beauty and the Beast and the recent Let the Right One In (Sweden-2008; dir. Tomas Alfredson), where the horror elements offer a way of exploring genuine human emotions. “Beauty and the Beast” was definitely an inspiration, as I wanted to do a modern retelling of a story just like it. In addition, unconventional, genre-blending horror films were also an inspiration — films such as Shaun of the Dead and Let the Right One In, which is a coming of age/love story, but built around these horrific elements. Earlier films of Tim Burton were also an inspiration, as I want to have a gothic romantic feel to the film to act as a contrast to the blood and gore. Chloe is a 26 year old graduate student who is returning to school after a horrifying incident: a car accident has rendered her paraplegic, confining her to a wheelchair for the rest of her life. Along with her father Stan and her boyfriend Scott, Chloe begins the difficult task of reentering her life newly disabled. Unfortunately, on the day she returns her campus is turned upside down, as news spreads of two students being attacked by some kind of creature in the woods. As animal carcasses start showing up and school personnel go missing, Chloe soon discovers the truth face to face: a monster, half man, half animal, with a clawed arm and a pair of broken antlers, is living in the woods outside the school. It attacks Chloe, scratching her leg and throwing her to the ground before running off. As Chloe composes herself, she discovers something extraordinary: the scratch on her leg actually hurts. She feels it. And so Chloe descends into the mystery that is The Monster, all the while secretly needing to feel again what she felt that night, something that only the murderous Monster can do. Is feeling normal again worth risking her life? As the entire town, and the people close to her, become involved in the hunt for The Monster, Chloe must figure out who she wants to be, as well as who the real monsters are. Right now Not A Monster is in the pre-production phase. Recently, Krey shot a trailer for fundraising purposes, which he and his crew plan to go about through crowd-sourcing such as Kickstarter as well as finding independent investors. They hope to launch the full trailer sometime in the next month or so, though you can check out a teaser below. Krey says the film will be shot independently in the New York area, using the current “inexpensive-yet-impressive technology” of DSLR filmmaking. Krey himself harkens from from Long Island, New York. In addition, the distribution model of Not a Monster will be just as independent as the production of the film itself. 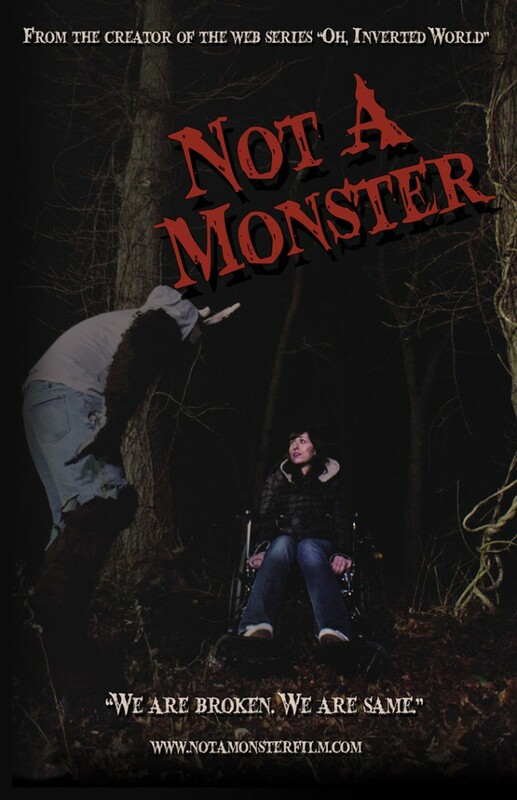 Initially, Not a Monster will be self-distributed as a digital HD download through our website, notamonsterfilm.com. For less than the price of a movie ticket, viewers will be able to watch Not A Monster on their computer, phone, tablet, or video game system. This model will blend the world of new and old media by making a full-length feature film available through the Internet straight from the creators to the audience. 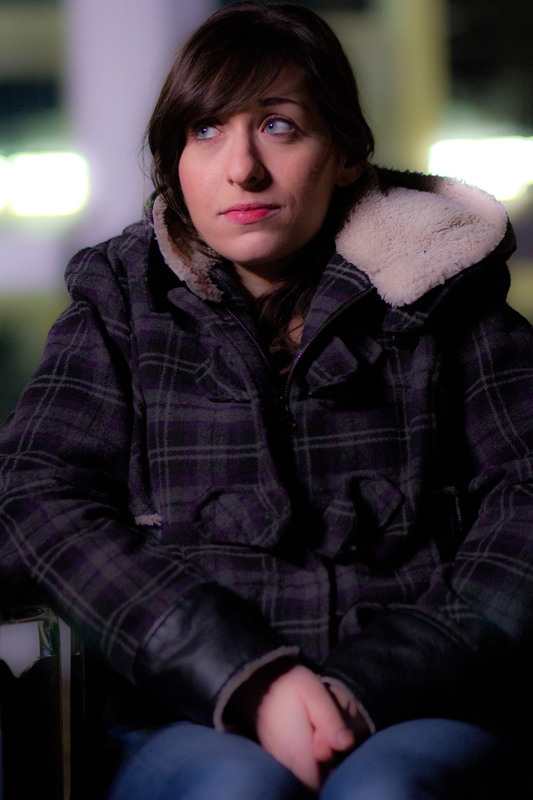 Not a Monster stars Elysia Segal as Chloe (pictured below), Rob Hinderliter (Scott), Rich Vience as Hudson (second image below), Jacob A. Ware (Aleister), and Alexander Longo (The Monster). Makeup/Effects are by Robert Doyle. 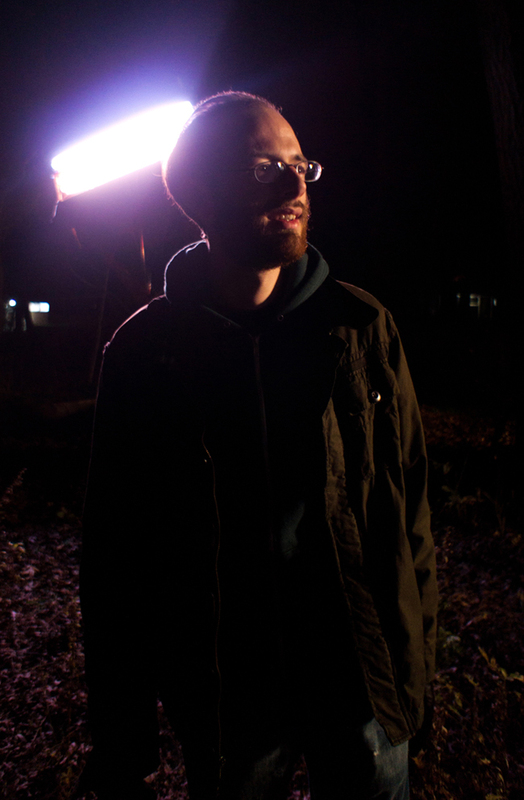 Director of Photography is Daniel Fox and the film is being produced by Terence Krey, Daniel Fox, and Jacob Cohen. It was written and will be directed by Krey himself. Not a Monster is scheduled for shooting in the US Summer 2012. Source: Terence Krey via Avery Guerra. Official website; Facebook page. Written by Robert Hood. This entry was posted in Film, Horror, Independent film, Monsters in general, News, Teaser, Where's the Film? and tagged beauty and the beast, let the right one in, not a monster, shaun of the dead, terence krey. Bookmark the permalink.